The last two months were intense and involved a number of trips including to Uganda and Kenya. Being in East Africa was so exciting because of the chance to see my friends from grad school. I also had the chance to interact with innovative entrepreneurs in both countries – the ones who give me hope that maybe our generation may redeem the continent after-all. Kenya was so good to me that I wondered what my friends were always complaining about anyway..lol! The modern airport as well as the road leading up to the airport left such a good first impression on me that I could totally imagine doing business there. Off course, I am not naive to assume that after spending only a few days in Kenya, I am now a country-expert but my perception about the country got me thinking about how first impressions influence investments and development. Co-incidentally I’m currently reading ”From Third World to First” by Lee Kuan Yew, Singapore’s first Prime Minister and the man who led the Country’s economic transformation. 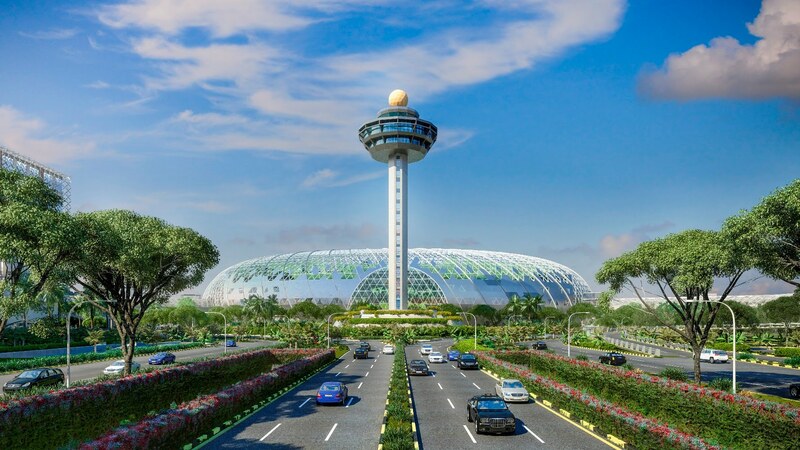 Lee was very particular about the first impression people had of Singapore such that the country’s first international airport, Changi International Airport, is a constant feature in the world’s best airports. Beyond the airport infrastructure itself, Lee made sure that the road leading upto the airport was always in good condition. But do Airports really tell us that much about a country? To be honest, most times (at least, in my experience) a country’s airports are usually a fair reflection of the country or at least the city where its located. London Heathrow for instance is pretty organised and effective such that any Investor travelling through there maybe attracted to and confident about doing business in the city of London. This first impression is very critical because even without entering the city and interacting with its people, one is already predisposed to doing business there. Bringing it closer home, anyone who’s passed through Nigeria’s Airports know that we still have a terribly long way to go, in fact two of them were recently ranked amongst top 20 worst airports in the world. I have had so many bad experiences which I cannot fully recall on this post: from spoilt carousels; electricity black outs; unscrupulous immigration officials; missing luggage.. it is sincerely never a pleasant experience. What even gets me so mad is the millions of dollars which have been earmarked over the years for airport rehabilitation and improvements. If they had been judiciously utilised, there’s no way Nigeria should not have a first-rate airport by now. Given how badly I feel about our airports, I can only imagine how first-timers feel and how this impression influences their investment decisions. Believe it or not, for many foreigners that is all they need to know to decide to Invest in Nigeria, even if they are so passionate, it will surely make them think twice. In conclusion, the point is not that once a country has fancy and functional airports, Investors shall begin trooping in, that would be Naive as there are other political and economic factors that influence investment decisions. The point however, is that just as a rational human being strives to make a good impression on strangers, so do serious countries. As Nigeria strives to improve its ease of doing business and attract Foreign Direct Investments (FDI), the look, feel of our international Airports and surrounding environment should also be highly prioritised. Indeed, in a world where there is such stiff competition for capital, every detail matters! Next 5 reasons why Nigeria does not NEED a national airline. Well written article! this gives a vivid example of how much paying attention to even the smallest details matter, because you never know who might be coming through!